Pink version: work with floral inspiration for this hat that can be worn in all circumstances. This hat is made of petal heart sinanay or sisal, 2 shades of roses and pearls. It remains in the hair through a long black hair clip of 7 cm and its diameter is about 11/16 cm. Maintaining made by the use of a clip 7 cm black hair. 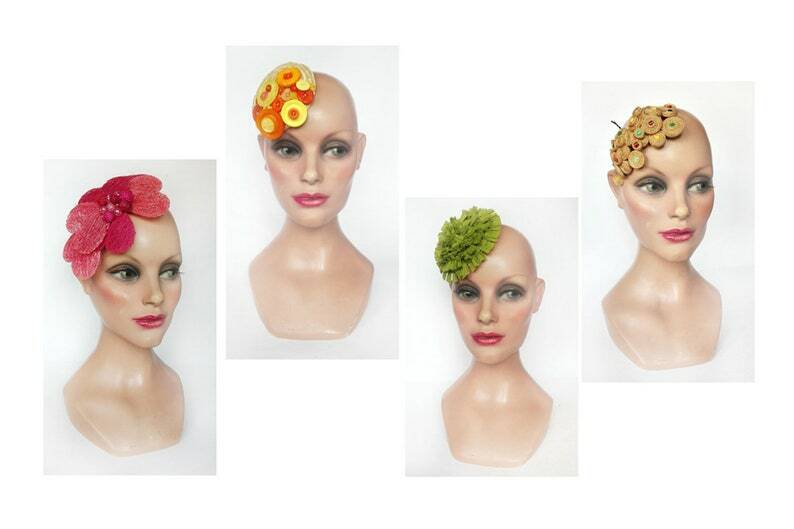 The green version: little fascinator, fascinator, pillbox made of non woven viscose Apple green color. The yellow version: "couture" fascinator made of natural straw braid hand and orange and yellow plastic buttons. A metal hair comb Gold 5 cm to maintain the hair and the diameter of the cuff is 10 cm.